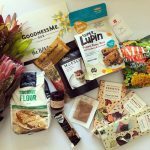 It’s February GoodnessMe Box time! 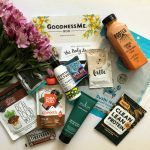 This month’s box was ‘summer glow’ themed and it was packed with products and brands that I had never tried before which is always my favourite part of these deliveries. 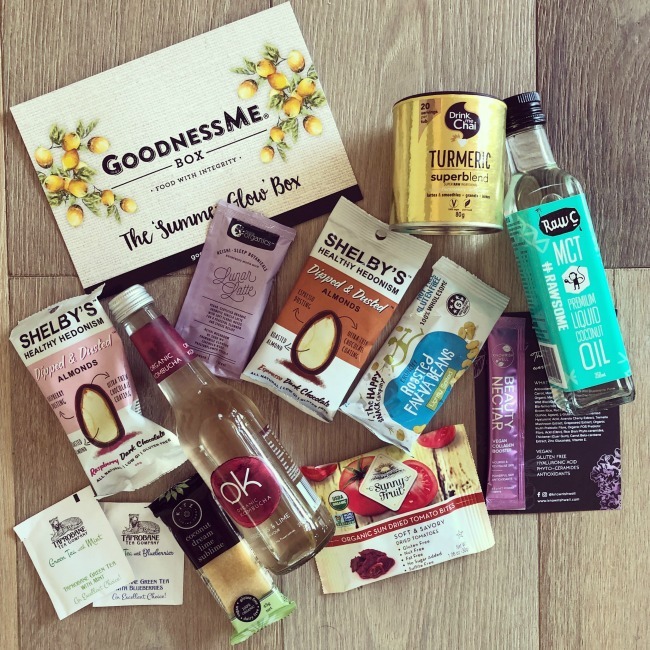 I had some courier issues with my delivery this month, but the GoodnessMe Box team were all over and kept me in the loop with updates which was much appreciated. So as you can imagine by the time it was in my hot little hands I was very keen to see what was inside! 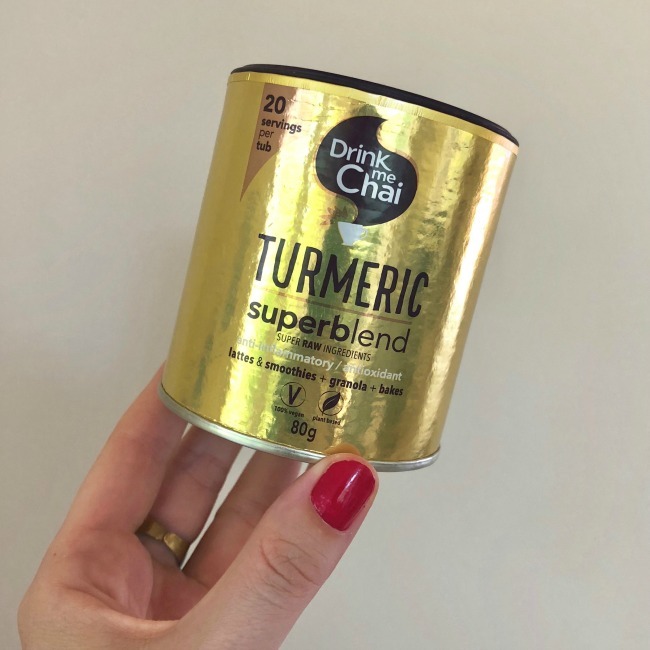 I was pretty intrigued by this shiny gold tin container of turmeric chai, and I’ve been enjoying it in a range of different ways this month. 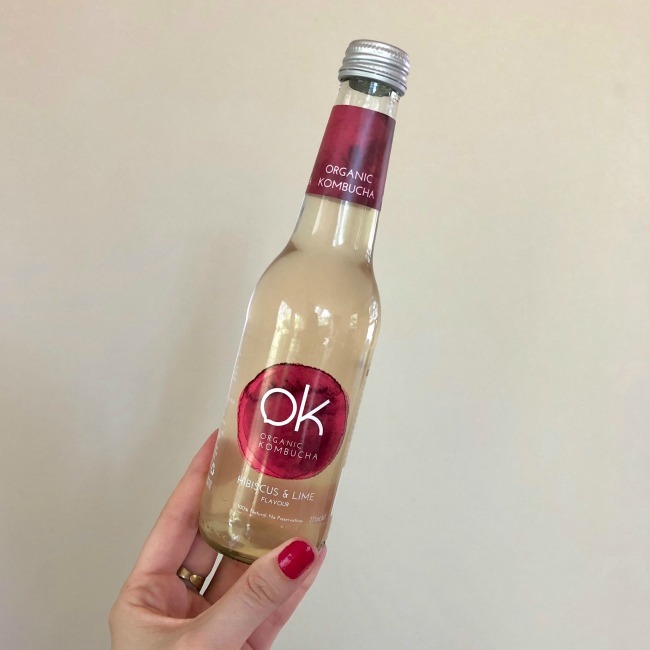 It’s a blend of turmeric, coconut, cinnamon and black pepper so it’s excellent on its own, but I’ve also been enjoying it in smoothies and sprinkled over yoghurt and fruit. Delicious! 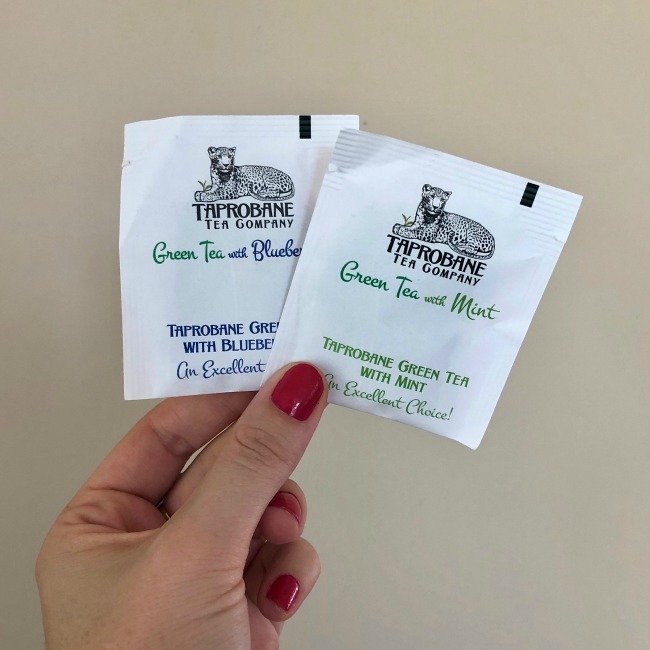 I’ve had a few of these tea bags in previous GoodnessMe Boxes, and whilst additional tea is not something I really need (I do a good run of it myself!) I do quite like these ones so no real complaints! The green tea and mint one is my favourite of the two because I find mint flavoured things hard to beat. Kombucha is something I’m definitely a massive fan of, but this wasn’t a brand I had tried before. It was much milder in flavour than some of the other brands I have tried but I definitely enjoyed the taste. It also wasn’t overly bubbly, but it was definitely refreshing and much appreciated on a hot evening after work. I’d be keen to try some of their other flavours too. This month has been a big one for me, so good sleep has been vital (but not always achieved!). 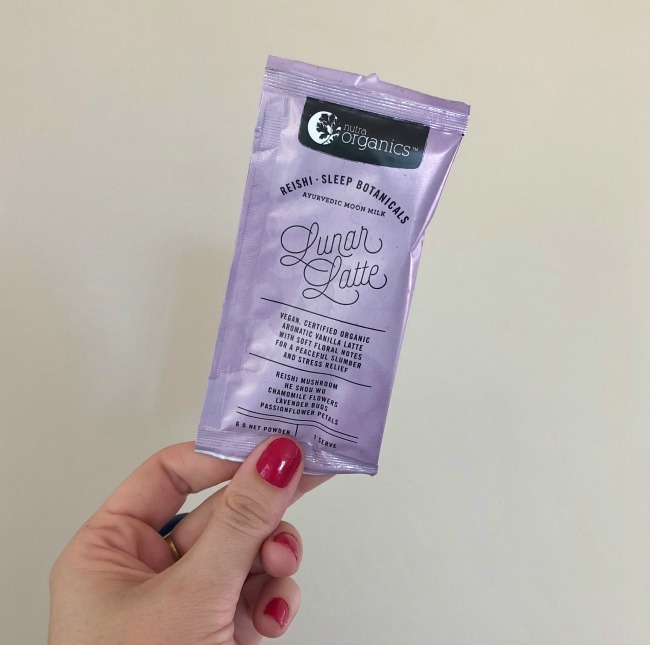 So as you can imagine I was pretty excited to try this Lunar Latte which is packed with ingredients like purple carrots, artichokes and reishi mushroom. With that list of ingredients I was pretty intrigued by what it would taste like, and it was delicious! It was predominantly floral and vanilla in flavour and I had it in some warmed almond milk. How much of a difference it made to my sleep is hard to tell, but it didn’t hurt! This was another item I was super intrigued by! I have heard good things from friends about collagen but for the most part they are not vegetarian friendly so I give them a pass. From just one sachet it’s impossible to know whether I saw any benefits from this, but it tasted delicious. I may have to pick up a bigger container of this to give it a try! 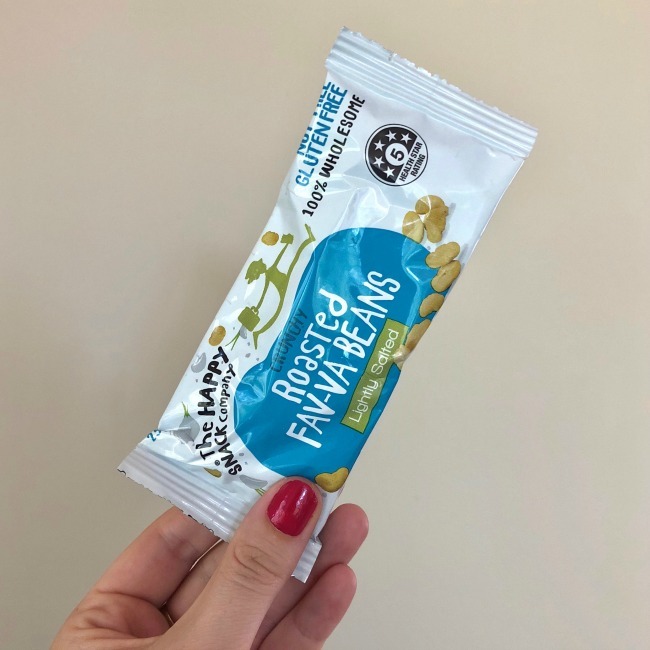 These dipped and dusted almonds were definitely the item that first excited me as I was unpacking my February GoodnessMe Box! They lived up to my excitement too! I particularly loved the espresso ones because seriously, what’s better than almonds dipped in chocolate then dipped in espresso powder?! 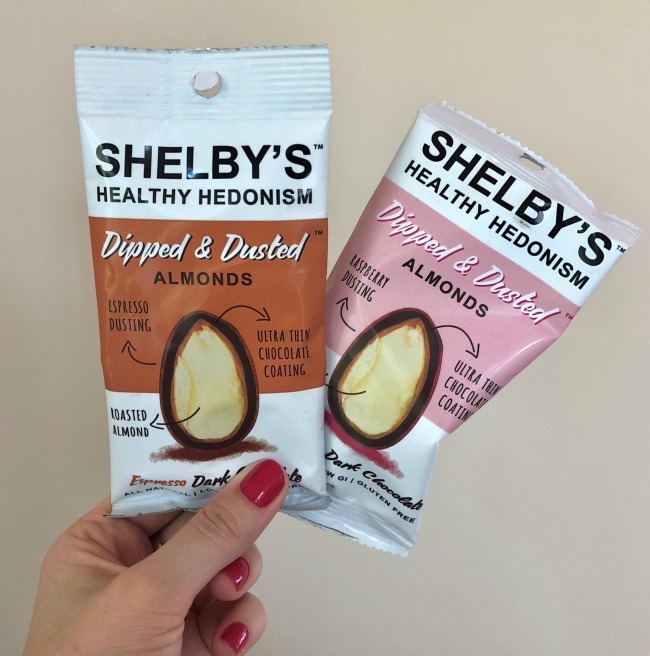 The yoghurt versions sound delicious too so I’ll definitely be keeping an eye out for them to try! I think I first tried these beans in a previous GoodnessMe Box, and since then they’ve made a regular appearance in my snack drawer at work. I love both this flavour and the salt & balsamic vinegar one, but I’m pretty keen to also try the lime & cracked pepper ones. Whilst I already had some of these at work I can never have too many, so was still pretty happy when I saw these in the box! 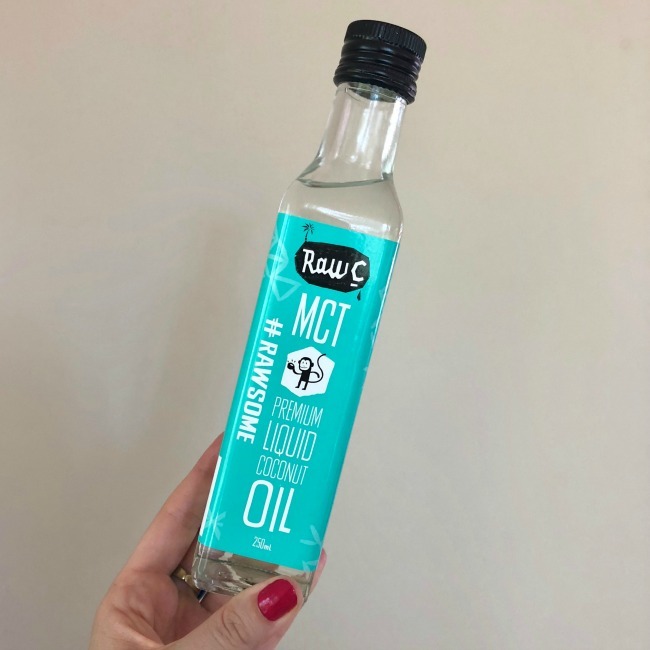 Coconut oil is something I use a bit of in my kitchen and whilst I have no problem keeping it liquid at this time of year, winter is a whole other story! I haven’t opened this one yet as I’ll wait for the cooler months, but I have no doubt it will get used up in no time! 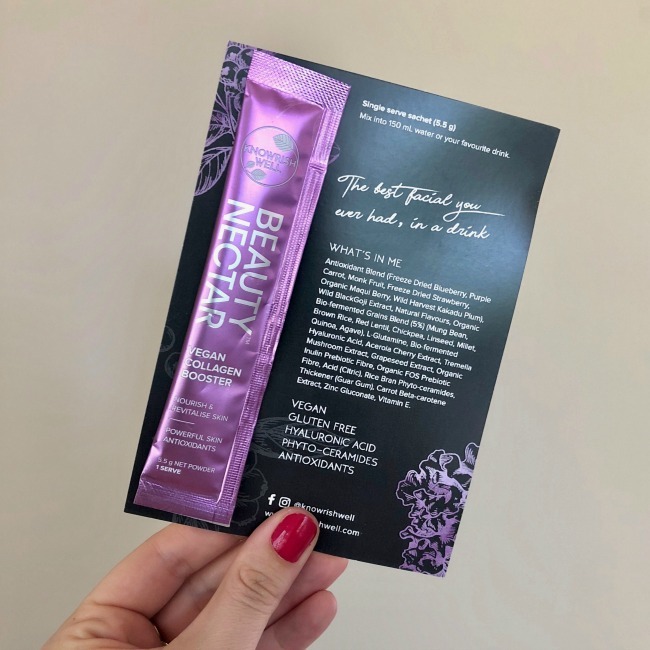 This was another intriguing product in the February GoodnessMe Box! 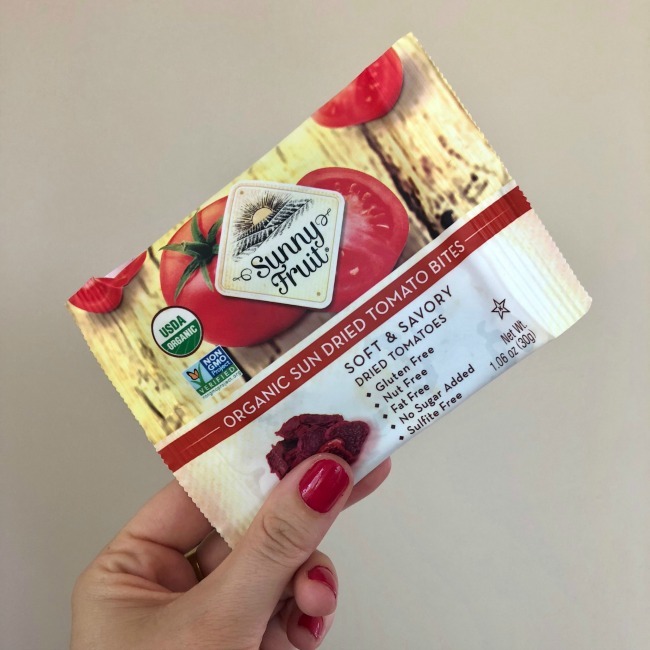 I lived through the sun-dried tomato craze of the 90s so they’re not my favourite ingredient, but these were nothing like that! They were soft and full of tomato-ey flavour and made for a simple and delicious lunch option. I certainly enjoyed them more than I expected to! 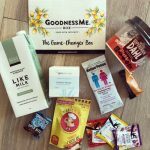 And that’s a wrap on the February GoodnessMe Box 2019! What item intrigues you the most?